Ullr is called the ‘Patron Saint of Skiers’. 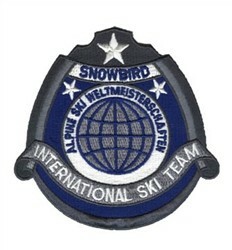 Ullr graces this ski patch, which serves the purpose of keeping those wearing this patch safe as they play in the snow. 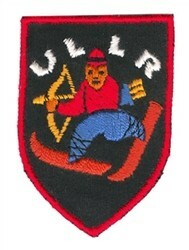 Ullr medals, pins and patches have been popular with skiers for over 100 years. 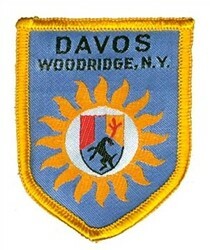 Skiers wear them for protection from harm while on the mountain. 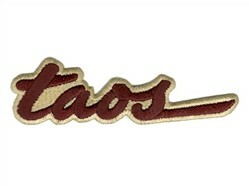 These patches have become highly collectible. Ullr is the mythical Norse God of Winter who enjoyed the cold weather and loved traveling throughout the land, gliding along on his skis or snowshoes. He was, in fact, unbeatable on skis, never losing a race. Some believe the Aurora Borealis is the snow flying off the tail of his skis. In Germanic mythology Ullr is the main ski god of the 19th and 20th century. His character helped to establish a feeling of common identity among skiing pioneers in Norway and Central Europe, who prayed to him to ensure the earth would be covered with snow, protecting it from winter’s harm. In the United States, ski towns throw parties and parades in his honor. Iron on or sew this fun patch to your jacket, cap, backpack or other items, or give it as a great gift to skier & snowboarder friends!